Successfully Added 2.4GHz 4-channel wireless mobile baby monitor, with night vision to your Shopping Cart. 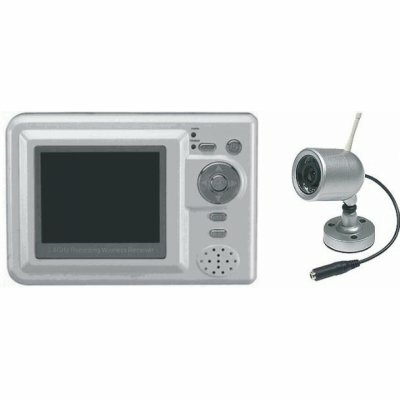 ess Night Vision Camera, Wireless Reciever MP4 Player set. Use this set to keep an eye out, or enjoy the high quailty MP4 Player Reciever. This Wholesale Baby Monitor Wireless Camera set is one of the best cost effective ways of providing security.